You can make some extra income by building a customer base ($500/month). To make more significant money you need to build a Team. The bigger your Team (and the more customers they are getting), the bigger your check. Your check is a measure of the difference you are making – helping people achieve great health and vitality, and helping some achieve financial peace. Most of the time we lead with the product AND sow seeds for the business. This happens best when we lead with our Mission “To Inspire Healthy Living Around The World”. You can accelerate your team building by what you do and how you do it: asking good questions, listening well, sowing seeds and working on the harvest (listen to Julie Herbst). 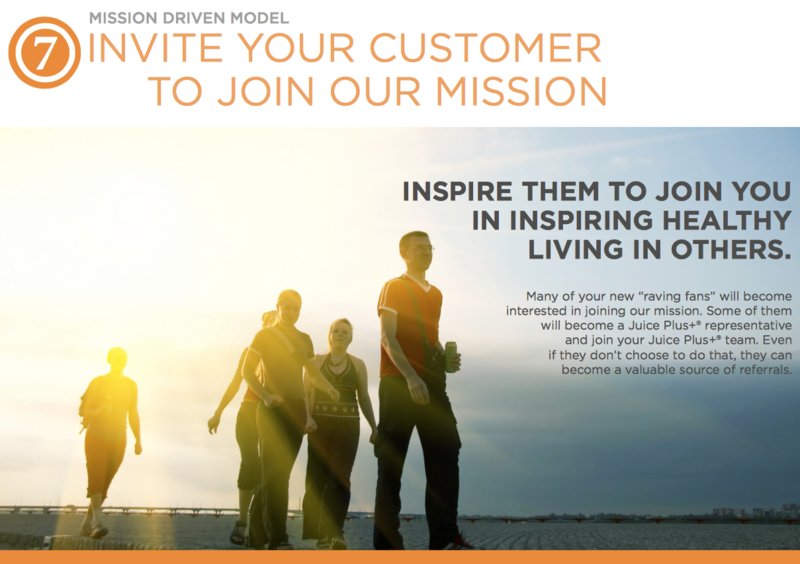 Every new Juice Plus+ Rep. should have, as their first goal, completing the 2000+ Fast Track, then to arrive at Sales Coordinator in 6 months or less – their destination. 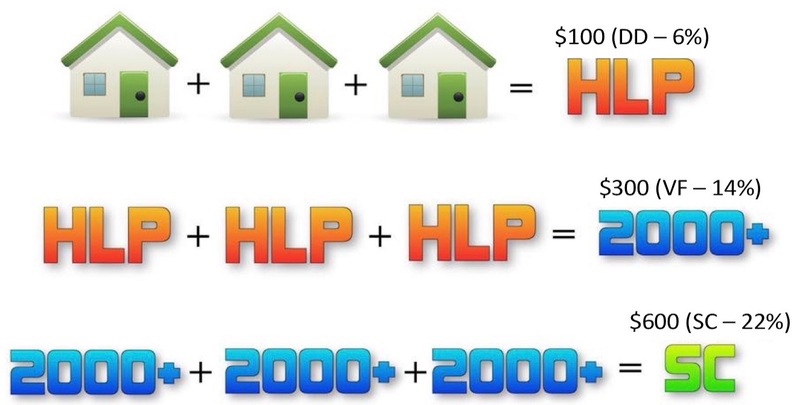 Use the Healthy Living Plan (HLP) building block to ease people gently aboard. Anyone who becomes a “Healthy Living Partner“ (to get their bonus and a 6% discount on their products) is a prime candidate to be a serious Team Member. Design Your Team by identifying five people you admire and respect and would like to build this business with. Answer the following questions about each: How do you know them? (friend, co-worker, etc.) What do you know about them? (cancer survivor, mom) What have you already shared about Juice Plus+? Your sponsor or coach will help you with the next steps”. You can even use your Virtual Office to do this! The Memory Jogger is the #1 tool for every Juice Plus+ Rep. No matter what stage in the business you are at (brand new or NMD) to succeed you must have a current Memory Jogger and use it daily. Become a master at using your Memory Jogger, and teaching your team to use it. 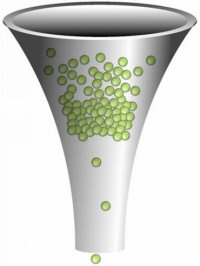 Your Funnel (aka Pipeline) is full when you have spoken to lots of people (50-100) about Juice Plus+. When you’ve spoken to relatively few (such as 10-20), you will find this business hard work, you will feel undue pressure and – worse – you may feel you are pressuring (even ‘bugging’) your friends and family as a result; and who wants that?! A full Pipeline will give you lots of customers and prospective team members to work with. Armed with a compelling Business Story and the boldness to tell it to everyone who is open to hearing it, you will find your team building efforts fun and effective. In this economy almost everyone is open to the idea of making some much needed additional income; and sharing a wonderful product like Juice Plus+ will be attractive to many of these people. Most of the time you will never know that someone has an interest until you ask them. Here’s a great message explaining how to ask them in a way that’s comfortable for you and them, and is most likely to succeed. The first page of TheFreedomRevolution.com has videos that explain our business and cast vision for what is possible. The rest of the website is for those who decide they want to join our Mission (password ‘revolution’).